The Good: Action was present throughout the movie. With all the gunfire and robotic weaponry, it honestly looked like you're watching a video game. One of the coolest things was how they modernized the story to make it more relevant to today. Speaking of which Samuel L. Jackson's character (as a Fox News type of knock off) was just great. (Especially his last segment towards the end of the movie. Lol) The graphics in this film were pretty interesting. Everything really does look futuristic, but believable at the same time. The Bad: The story line was lackluster. It was just the straight forward, flat, story line of a cop who gets screwed and turned into a robotic man. With all of the modernizations they did to make the movie relevant for today, they forgot to spice up the plot to make it less predictable. It could have been a bit more engaging. There was little to any suspense and the ending fight scene was just okay. Outside of Samuel L Jackson, the majority of the acting was kind of straight-forward too. I'm not sure any one character, even the main character, is going to get you that invested in them. The Reason: If you're like me, you're probably interested in watching this because of the original movie back in the 80's. I can't say that you're going to feel an overwhelming sensation of nostalgia after watching this...even though they do play his theme music in the background. (That was kind of nice) Instead, I think you'll walk away neither amazed, but not terribly disappointed either. You will get exactly what you expect. Nothing more, nothing less. Robots fighting and shooting lots of guns. I wasn't mad that I paid to go see it, but I don't think I would have regretted waiting to just rent it either. 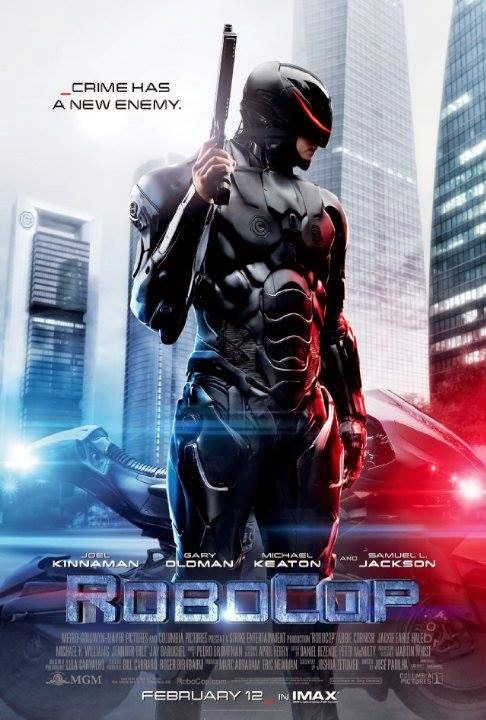 Robocop fans can watch this, but I doubt they'll claim this to be as epic as the original movie. Oh yeah, and there's nothing after the credits so don't bother waiting.